If you're sending a message with Mixmax enabled on your account, we will automatically insert the signature you have saved in your Mixmax settings. You can import email signatures from Gmail, or create your own signatures in Mixmax. Open your Gmail settings: click the gear icon in the top right corner of Gmail, and select Settings from the dropdown menu. Then scroll towards the bottom of the page where you'll see Signature. Click Import Signatures to Mixmax. You can create a new signature in Mixmax - or edit your existing signature. Click the Mixmax logo in the top right corner of Gmail to open the Mixmax web app. Head to your Settings and click Signatures. 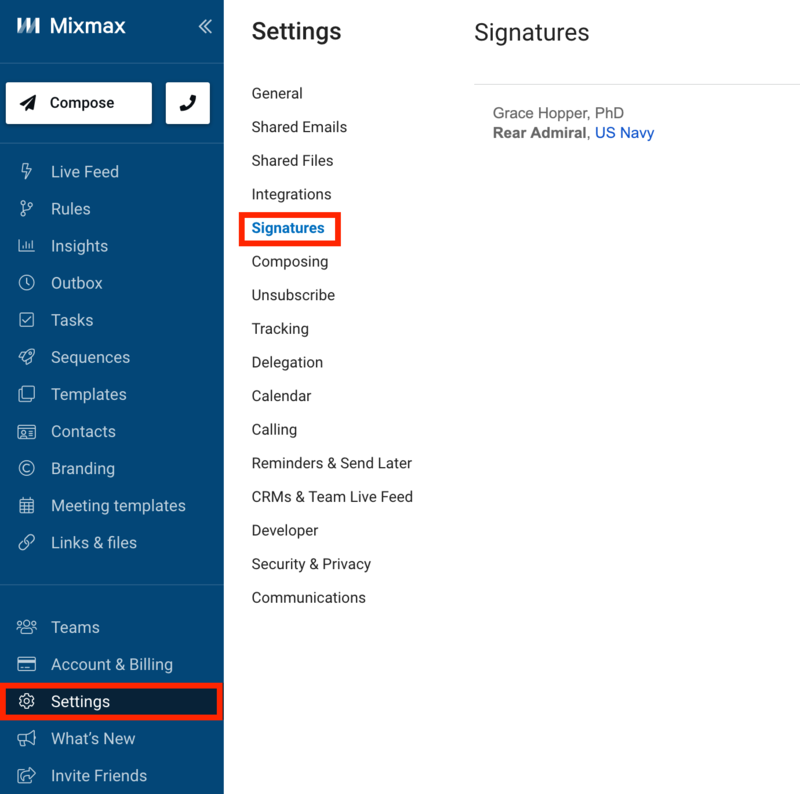 You will see an option to create a signature for each email alias you are using with Mixmax. You can customize your signature by adding images, videos, links, and social badges. 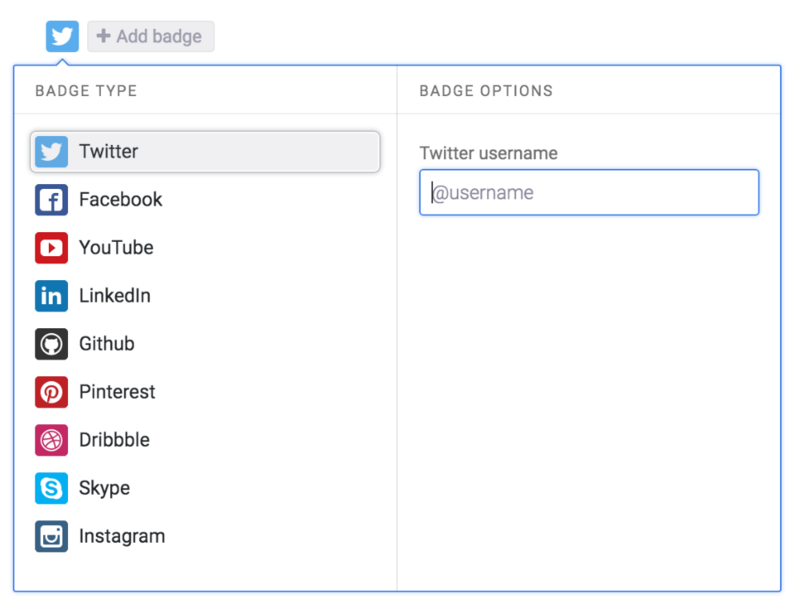 Social badges are images that link to your social media pages, such as LinkedIn, Twitter, GitHub, or Instagram. Badges can be placed next to each other horizontally by clicking the Add badge button. When you reply to an email, you can choose to add your signature above the quoted text of the reply. Just click the box Place signature above quoted text. Click Save to save your changes, and you're done!